It's enough to improve the lighting and shadows to see an entirely different Minecraft world, not the way you used to see it. Enhanced shaders are designed specifically for the world to be filled with vibrant sunlight and realistic dynamic shadows. If it seems to you that these features are small and you are looking for shaders with a large list of functionality then go here - Shaders for Minecraft PE and choose something more powerful. 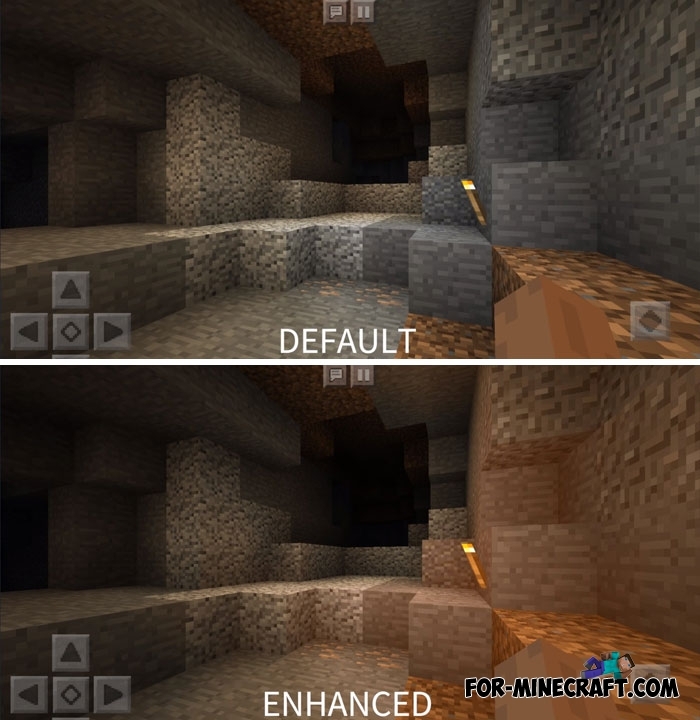 Updated for MCPE 1.6 and 1.7. Compatible with any OS: iOS, Android, Win10. But if your smartphone or tablet is not so high-end then install Enhanced shaders and feel the changes with your own eyes. 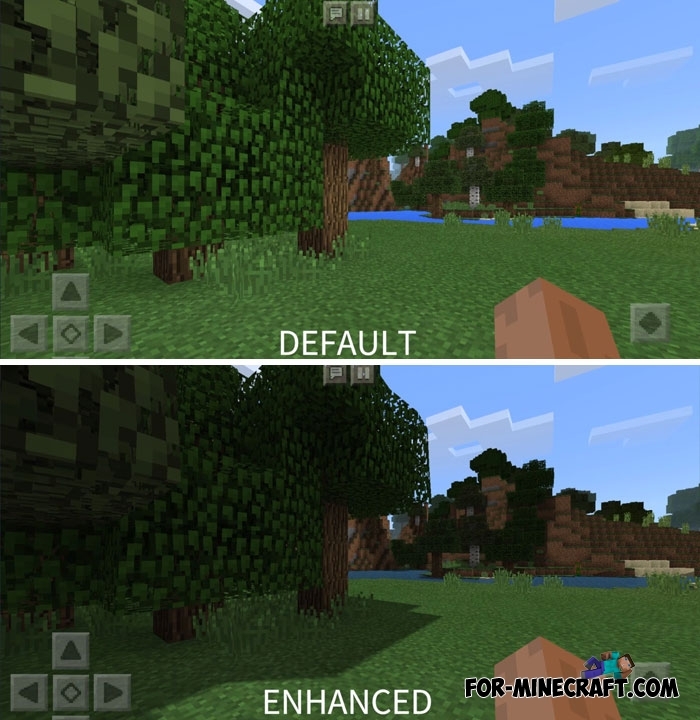 The shader is well compatible with any version of Minecraft and does not cause bugs on MCPE 1.5. 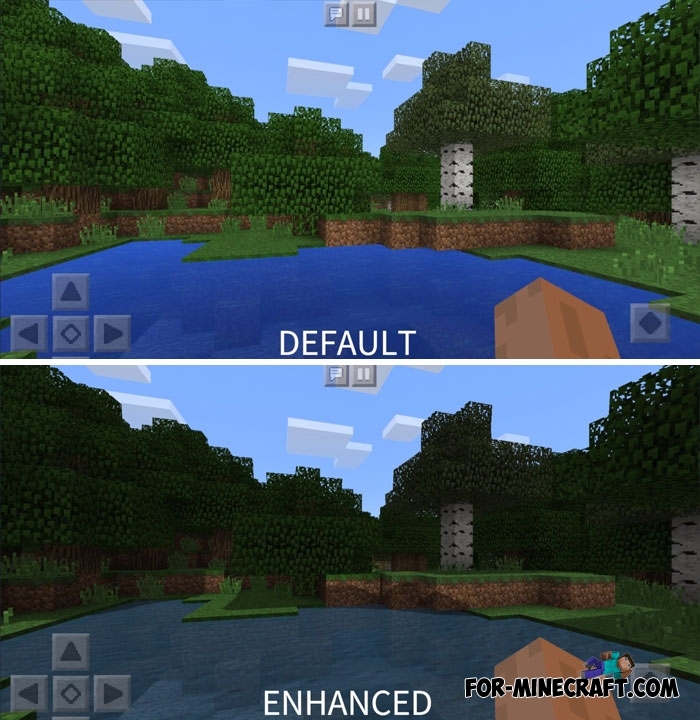 How to install Enhanced shaders?